Polish Freediver - athlete and International Instructor of the Apnea Academy - a Freediving School run by the legendary Umberto Pelizzari. 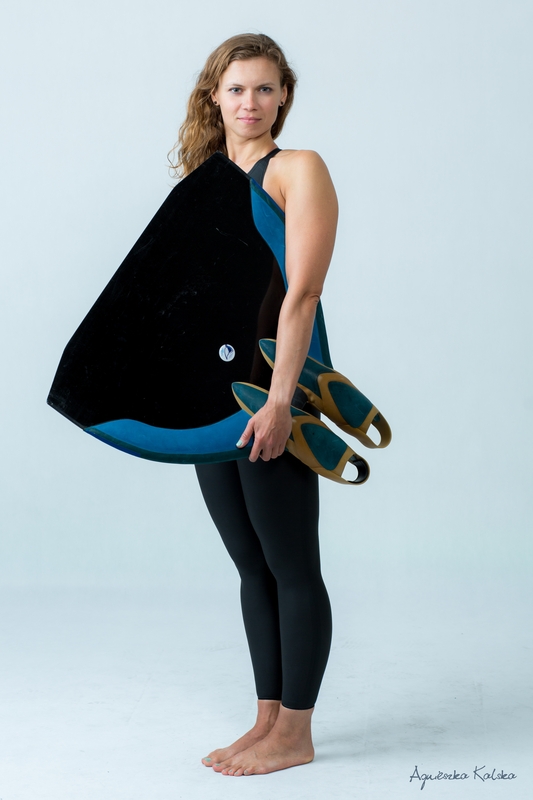 With many years of training as a professional swimmer, Agnieszka has a natural elegance and freedom of movement in water which she intends to pass on to her students. Being nominated by the "god" of freediving is something that gives her real pride. Below is Agnieszka’s story in few words. Agnieszka was first seen freediving in lake 'Powidzkie' during the third edition of the Women Freediving Weekend (III Zlot Freediverek) in 2012, since then she takes every opportunity to dive. Agnieszka has spent a large portion of her life in the pool, she attended swimming classes as a young girl and by the time she reached the 4th grade of elementary school she had won her first medal having competing in the National Swimming Championships of Poland. Agnieszka didn't stop there. Each event she took part in often lead to a new medal; sometimes bronze, sometimes silver but most often the most precious gold. When asked 'how many medals have you won?' Agnieszka modestly replies; 'A few', however somebody who is more persistant finally hears; 'I can't remember exactly, maybe around 6 kilos worth’. Agnieszka has represented Poland in many international events during her long swimming career. She considers her greatest swimming achievements to include participation in the European Youth Olympic Days in Murcia 2001 and the European Junior Championships in Glasgow 2003, where she advanced to the finals and semi-finals, respectively, in several freestyle events. In December 2012, Agnieszka took part in qualifiers for a place on the national team to take part in two competitions in the World Championships in Freediving, DNF and DYN, by June 2013 she was representing Poland at the event in Belgrade. This was Agnieszka’s first appearance in such a prestigious group, the participants of the event were among others: Natalia Molchanova, William Trubridge, Goran Colak, Alexey Molchanov. The results she had achieved in the qualifying competition, DYN, brought her the opportunity to compte during the finals. During a competition in Serbia, Agnieszka brought home 15th place and a wealth of valuable experience obtained fromcompeting alongside the major stars and champions of the freediving world. In 2013 happened one of the most emotional parts of Agnieszka’s career - a two-week stay at the Red Sea as it enabled her to take her first plunge into the sea. During the next visit and deep trainings, she was able to immerse totally in this blue world. 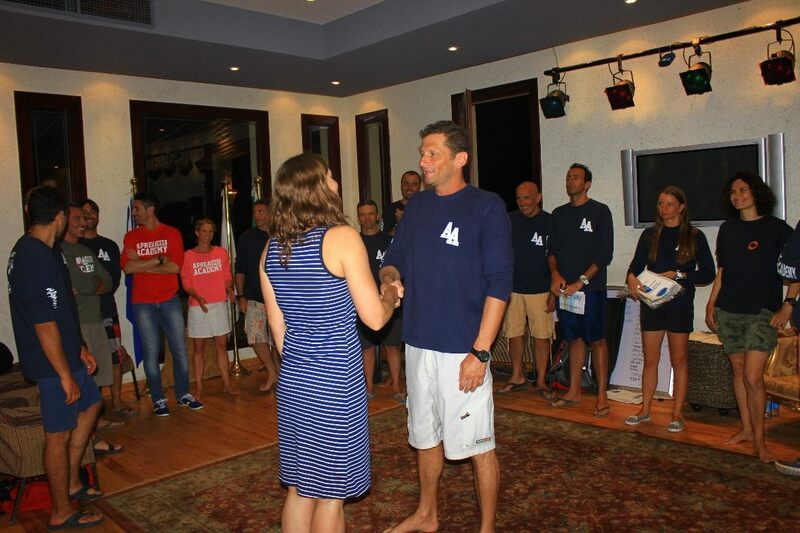 Few weeks she has spent in the Red Sea was enoguh to make a decision and particpate in the International Apnea Academy Instructor Course in Sharm El Sheikh in May of 2014. The meeting, with freedivers from 22 countries of the world, and under the guidance of Umberto was a remarkable experience and a great opportunity to acquire valuable skills. During the Apnea Academy Instructor's Course, Agnieszka had the opportunity to become acquainted with the largest specialists in the field of freediving. Thus, they could get to know and recognize its potential and skills. From July 2014, Mike Maric - a feediving trainer and specialist in monofin swimming, became the main coach of Agnieszka and together with Luca Marazzina (personal trainer) coordinated her trainings for two years. From 2015 on the development of internal force, Agnieszka cooperates with Alessandro Vergendo (a mental trainer) who directs its development in accordance with the ideology of the Deep Inside State of Mind. 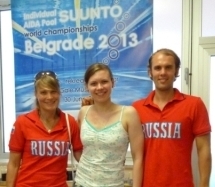 In 2014 performances in several competitions gave Agnieszka qualification for the next AIDA Pool World Championships that took place again in Belgrade in June 2015. This time, the Association of Freediving Poland granted a nomination in all three pool disciplines of freediving (DYN, DNF STA). In Belgrade Agnieszka has achieved the qualifying results promoting her to the finals. She was a winner of DYN and STA finals B taking two 9th places, and 14th in DNF. During the Freediving Finnish Open in Turku on 3rd April 2016 she has set the new National Record of Poland of 205m in the DYN. Whilst participating in the AIDA Pool World Championships 2016 in Turku, she improved her DNF PB to 150m taking 13th place and in STA 12th place in the world. On May 2017, she won the vice-championship of Poland title, and in October, this time in Belarus, she beat her next life records - DNF 165m and DYN 215m. 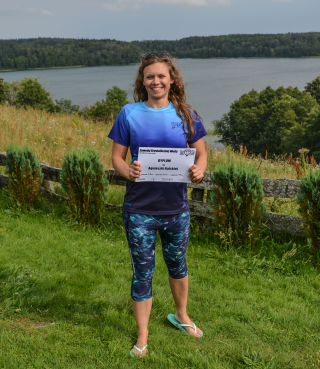 In August 2017, Agnieszka made her debut in depth competitions, during the Crystal Water Competition held at the Polish lake Hańcza, representing the female freediving community, achieved significant results for fresh water - FIM -43m, CWT (bi-fins) -39m and CNF -30m. 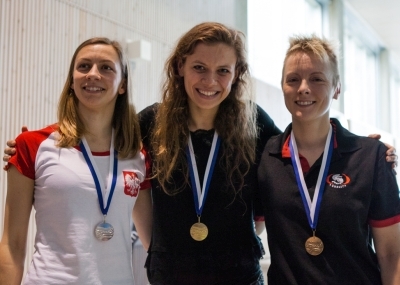 In the following year, during the Dept National Championships of Poland, she attempted to dive to a depth of -46m in the discipline of the CNF. There wasn't much left for this result to be counted, and then it would have been an equal record of Poland, which was set in salty waters! During these competitions, Agnieszka successfully completed diving to -48m FIM and -45m CWT. From 2018, Agnieszka began training under the watch of the world record holder in swimming in the monofin - Giorgos Panagiotakis. In June 2018 she took part in the World Championshipsfor the fourth time, but for the first time the results from the previous season brought her qualification with the second and third best result in the world in DNF and DYN respectively. Only a few meters were missing for full happiness - with 229 m in DYN, Agnieszka took the 4th place in the world during the Individual Pool World Championships AIDA 2018 in Belgrade. Besides swimming and freediving Agnieszka likes most other water sports and even makes use of water when it is frozen to do more sports. Her other passion, working in an advertising agency, where Agnieszka gains a sense of great satisfaction from performing seemingly impossible tasks as a Head of Expo Department, has been overriden buy the the force that drew her into the water. In 2015 she has quitted the office job, to dedicate all her energy to expend the freediving comunity in Poland and to start her own Freediving and Swimming school - FREEBODY.